Gayle Jackson, President, The DeSean Jackson Foundation, and mother of NFL All Pro, Washington Redskins, wide receiver, DeSean Jackson, advised the sponsors of Sunday’s pre-game tail gate party at Fed Ex Field that her son will donate an autographed plague for an auction to raise funds for his foundation that was incorporated to raise awareness to Pancreatic Cancer in memory of his father, William “Bill” Jackson. 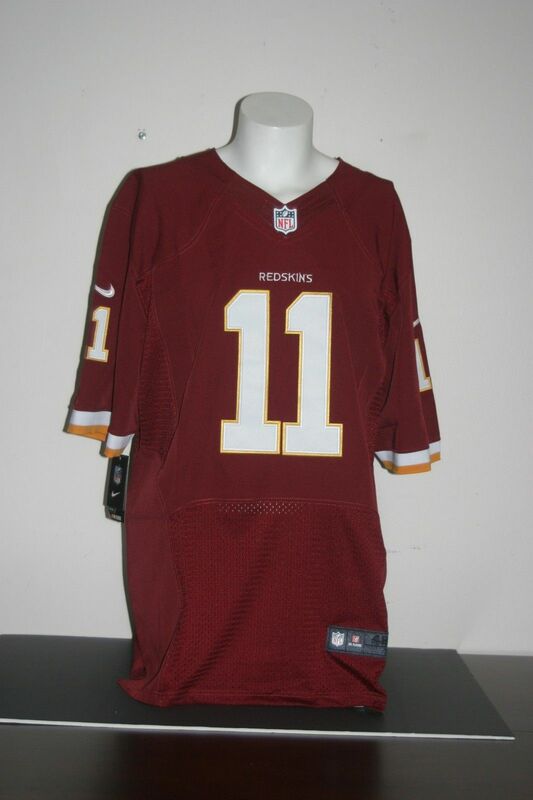 Mrs. Jackson also stated that a Washington Redskins’ Jersey, in DeSean’s infamous #11 Mode, has also been donated by her son for the auction. Furthermore, Mrs, Jackson states that Sunday will be bittersweet for DeSean and her family because November is National Pancreatic Awareness Month; and Bill, will not be here to see DeSean exit the tunnels onto Field Ex Field; and, Desean will not have Bill make that end of the game call to critique the entire game; strategize for next week; and, end the call by saying I Love You, DeSean”. 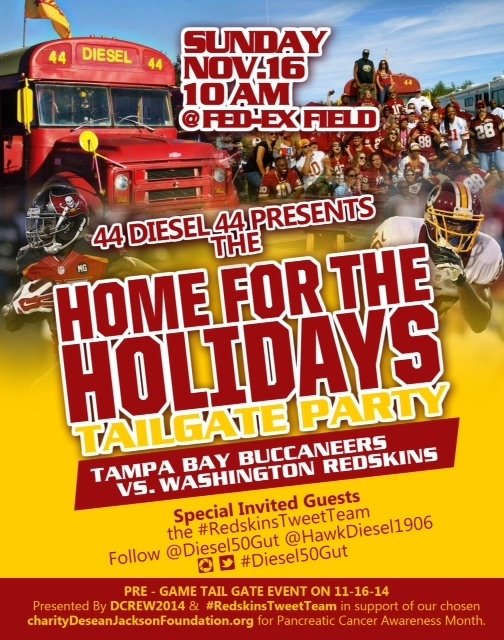 The analogy between the theme for Sunday’s tail gate party ‘Home For the Holidays’ and the fact that the Washington Redskins, the City and our awesome fan base has embraced us is almost overwhelming”, states Mrs. Jackson. We thank you from the bottom of our hearts and–We Are Home! DeSean Jackson, CEO of the DeSean Jackson Foundation, extends his sincere appreciation upon learning that his foundation has been selected the charity of choice to be honored during the, “Home for the Holidays” Tail Gate Party, on Sunday, November 16, 2014, at Fed Ex Field. 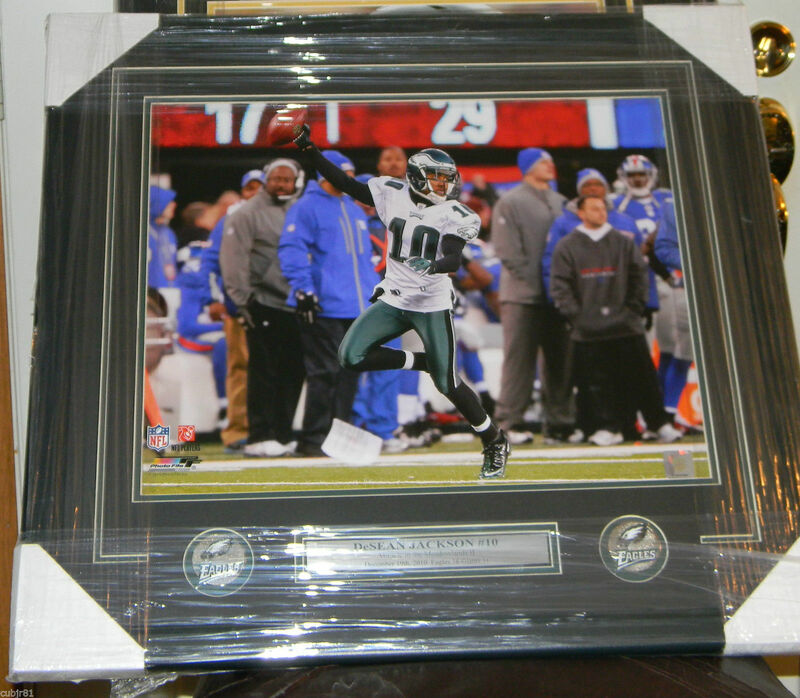 The DeSean Jackson Foundation was founded by DeSean and his mother, Gayle Jackson in memory of DeSean’s father, William “Bill” Jackson, who died from Pancreatic Cancer. 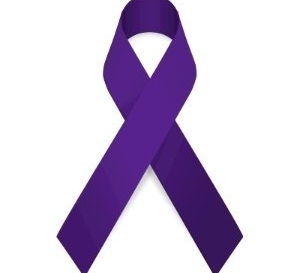 November is National Pancreatic Cancer Awareness Month which makes this event near and dear to DeSean’s heart. “I regret that I will not be able to join you at the tail gate party, states Jackson, but my collegues and I will be preparing for a business meeting in Fed Ex Field with the Tampa Bay Buccaneers. I encourage all of my family, friends and fans to support the event; and, know that it is greatly appreciated.” Please stop by the tail gate party and say Hello to my Mom. – DeSean Jackson, CEO, The DeSean Jackson Foundation.